Home » Accessible Applications , Advertising and Marketing , Apple , Apps , Arch Linux , Audio , Backup , Burning , Cd-Dvd Burning , Chat , Compiz Fusion , Data storage , Databases , Desktop Environment , Ham Radio , Infographics , Kernel , Kubuntu » Top 10 blog posts for July 2014 from Linuxlandit & The Conqueror Penguin. 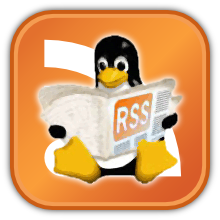 Top 10 blog posts for July 2014 from Linuxlandit & The Conqueror Penguin. 1.- Roxen WebServer is a full-featured open-source web server distributed under the GPL license. 2.- Chitwanix OS 1.5 codename Khukuri has been released. 3.- Model Builder is a graphical tool for designing, simulating and analysing Mathematical models). 4.- NETGEN is an automatic 3d tetrahedral mesh generator. 5.- MrBayes is a program for Bayesian inference and model choice across a wide range of phylogenetic and evolutionary models. 6.- Maria is a reachability analyzer for concurrent systems that uses Algebraic System Nets. 7.- Lybniz is a simple function graph plotter in Python. 8.- 10 small Linux applications I can't live without. 9.- Calc C-style arbitrary precision calculator. 10.- Multi-Booting the Nexus 7 Tablet: Getting Ubuntu Touch Running.